Why Install Closet Organizers in Your Concord, NC, Home? 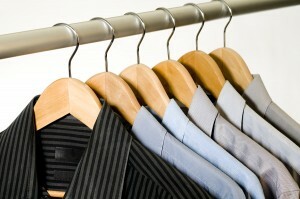 Are you wondering if you should install closet organizers in your Concord, NC, home? Here’s a quick test: are your closets a mess? Do you find yourself frustrated because you can’t locate items quickly? Do your belongings often end up on the floor instead of in drawers or on hangers? If the answer to any of these questions is yes, then you need to hire the experts at 31-W Insulation to install closet organizers in your home. At 31-W Insulation, we have provided our customers with high-quality home improvement services since 1972, and are happy to help you with your home storage needs today. Our 40 years in the industry has taught us the importance of using only the finest building materials, and that’s why ClosetMaid is our manufacturer of choice for your closet organizers. ClosetMaid’s shelving components are engineered to stand the test of time, so you can be sure that you will enjoy their functional design and appealing aesthetics for many years to come. Laminate/wood – You can choose from rich wood tone colors such as cherry, espresso, antique white, white, and more. Wire – You can choose your wire components in nickel, satin chrome, silver, or white finishes. Why not contact 31-W Insulation today? Find out for yourself how easy it is to design closet organizers for your Concord, North Carolina, home.